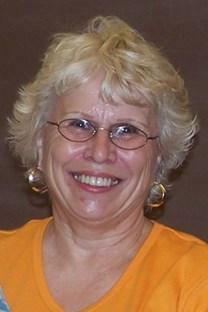 Sherry Applegate "Life of the Party" passed away peacefully on April 1st 2014. Sherry was raised in Fair Oaks, CA, attended John Hoist Grade School and graduated from El Camino High School in 1960. Sherry worked enthusiastically for Bank of America for 25 years and was an active member of the BofA retiree's club. She was an avid Kings fan and a devoted Music Circus patron. Sherry, along with husband, Larry, was a founding member of the Sacramento Ragtime Society in 1982. Sherry leaves behind her husband of 36 years, Larry Applegate, her daughters Michelle Kite and Sheila Reeves and grandchildren, Rusty Sage, Kate Neary and Tony Reeves, also many friends and other family. A Celebration of Life/Potluck will be held on May 18, 2014 at 12:00, at the Gold Trail Grange in Coloma. Please come and celebrate Sherry. Burial will be private in Fair Oaks Cemetery. In lieu of flowers, please make donations in Sherry's name to the Animal Outreach. Sherry loved life and loved animals. Online condolences may be posted to chapelofthepinesfunerals.com.